Punjab National Bank customers can now request new Cheque Book online without bank visit. 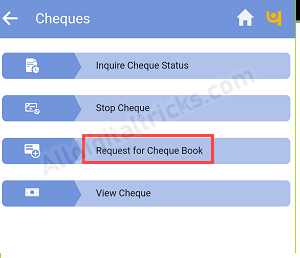 PNB ChequeBook request facility now available on net banking and mobile banking. Punjab National Bank is the largest public sector bank with 80 million customers, 6,937 branches, and 10681 ATMs across 764 cities. You can open your saving account here with just 1000 deposit. You can manage and access your saving account through mobile banking and net banking and both facility free of charge. Now it is very easy to apply new Cheque book online in Punjab national bank, no need to visit the bank. For this facility, you just need net banking or mobile banking. If you don’t have net banking or mobile banking then not to worry, you can activate both facilities online. 1: Open PNB net banking page and login to your account by entering the User ID and login password. 2: After login, click on Other Services and here you can see Service Requests option, just click on it. 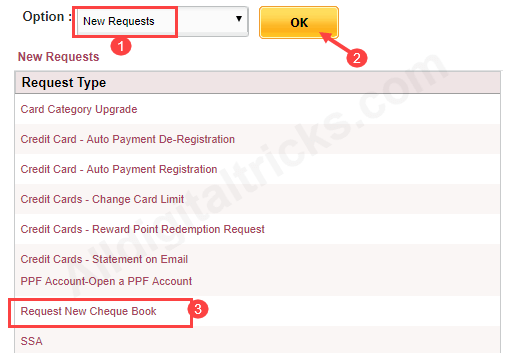 3: Now select New Request and click on OK. You can see Request New Cheque Book option, click on it. 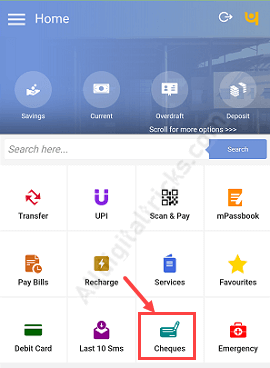 4: Next screen select your Account number and enter Cheque leaves (20,50,100) and click on submit. That’s it your request submitted successfully. You will receive your new Cheque book via courier at home address within 15 days depending on your location. 1: First login to PNB mobile banking by entering 4-digit MPIN. 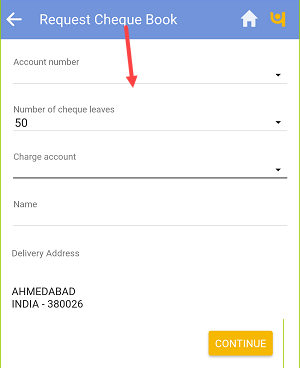 4: And finally, select your Account number, enter Cheque leaves (20,50,100), confirm your delivery address and submit your request. So by following these two methods Punjab National Bank (PNB) customers can Request new Cheque book online, you don’t need to visit the bank.